At MinuteVideos we have basic and premium storyboarding styles. The basic style is drawn in 2D and uses stick figures for people. The premium styles are drawn in 3D and additional detail for people and objects. The formal storyboarding style means we draw items and people as realistic as possible. This is especially useful for technical videos that need to accurately depict visual details and for business oriented videos that prefer a more corporate feel. Comic style drawings are drawn more simply and with more emphasis on emotion in people and function in objects. 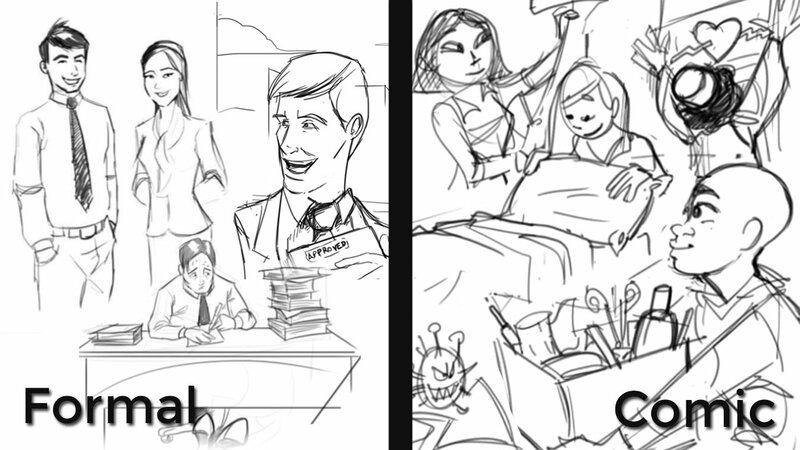 Here are some examples of people illustrated using the formal and comic storyboarding styles. 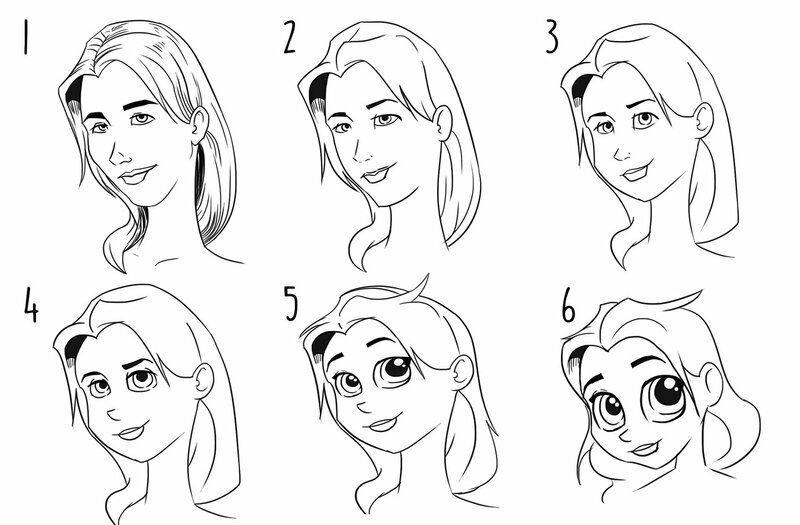 In this graphic you can see the progression of a realistic face towards a minutevideos style cartoon face around number 4 and then all the way towards a character development around number 6.